Lauren Frances Evans comes to Samford from Iowa City, IA, where she has lived since 2014. While there, she taught as an Adjunct Assistant Professor in the School of Art and Art History at the University of Iowa, as the Visual Arts Coordinator for Project Art at the University of Iowa Hospitals and Clinics, was the curator for the Times Club Gallery at Prairie Lights Bookstore, and served on the board of directors for the local community arts non-profit, Public Space One. She also recently taught as a Visiting Professor at Grinnell College. In addition to her work in the arts, Evans served as the Assistant Director for Geneva Campus Ministry at the University of Iowa, where she helped develop and lead a fellowship program, funded by a grant from the Lilly Endowment, for students supporting a theological exploration of vocation. Evans holds and MFA in studio art from the University of Maryland as well as a BA in studio art and a BS in business administration from the College of Charleston. Evans' creative work is primarily sculptural, ranging from meticulously layered collages to large mixed-media structures. 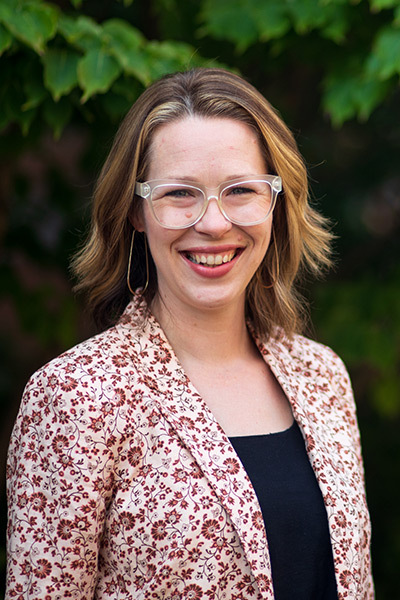 In her research, she investigates the meaning of the creative act, matters of origin, symbolic centers, and the significance of the maternal experience.